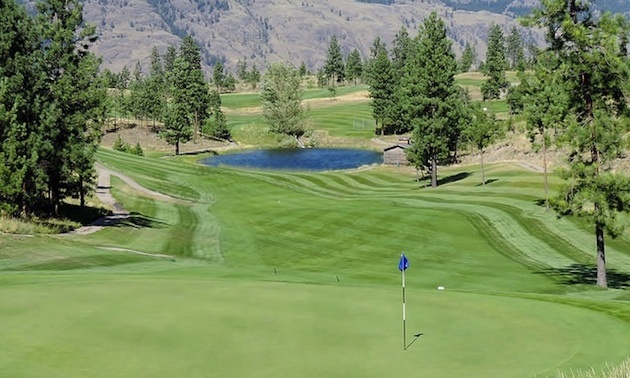 When people talk about golf courses in the Kamloops area, they often mention the Dunes, Rivershore and Tobiano—but generally Eagle Point Golf Resort is not included. 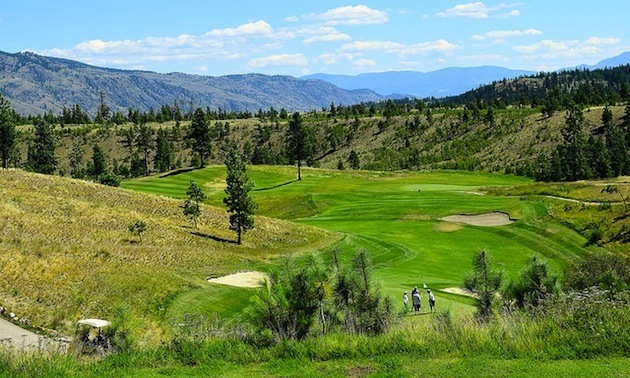 The course is located off Highway 97 between Kamloops and Vernon, 20 minutes from Kamloops. 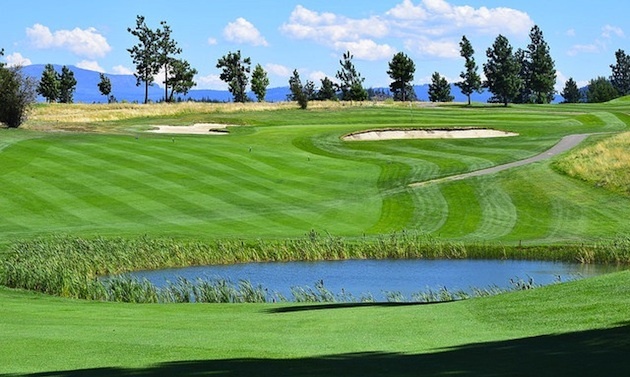 This is not a Championship PGA course, but was designed for the average recreational golfer with a high or low handicap, as well as the novice golfer. Entering through the ranch-style gate, I saw a large valley stretching to the right, with picturesque mountains framing the background. Only a soaring eagle was missing from this idyllic scene. Robert Heaslip from Ontario, who has done most of his work in the Maritimes and his home province, was the architect. When Eagle Point was built in 1991, the course was cut out of a dense Ponderosa pine forest, creating 18 distinct holes. Using the natural rolling terrain of the benchland, he created a traditional tree-lined course on 165 acres. 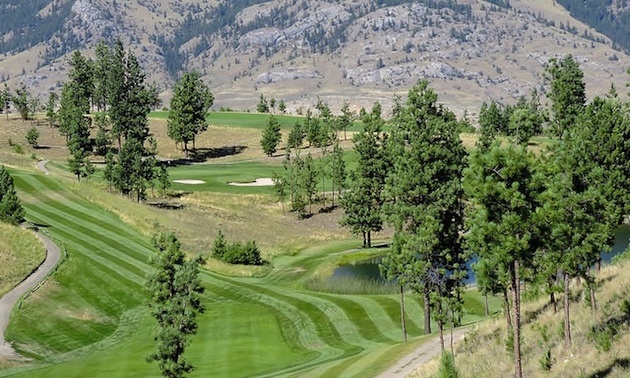 With the devastating pine beetle infestation in 2011, the course was in trouble. Owner Dennis Hong had a new vision for the course, which included removing 16,000 to 18,000 infected trees. The end result was a wide open golf course with pine trees remaining in strategic places and fescue grass added to the rough. Without the trees, the fairways and greens have improved over time, making the course more forgiving and altogether better. The first hole quickly gets your attention, as it requires hitting down into the valley and then up the far side to a small green. The rest of the front nine runs along the benchland before finishing near the snack shop. There are no great elevation changes between tees and greens. Hole 6 is the no. 1 handicap hole, a par 4 at 399 yards. It’s a good risk and reward hole, with the pond in the middle of the fairway. The par 3s are relatively short, accessible and easy. Only the big tree in the middle of the fairway on Hole 9 can cause problems off the tee. The front nine plays easier than the back nine with good course management. 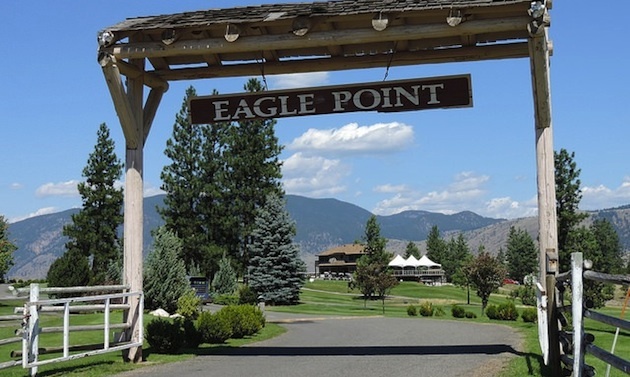 Eagle Point can be walked, but a cart is advisable on the back nine. My only criticism of the back nine is that a caddy book would have avoided a 10th hole disaster. The blind shot off the tee and a fairway sloping downhill to the right is certainly not expected. The back nine has greater challenges due to many elevation changes. The par 3s are not short, ranging from 221 to 239 yards. Ian Henson, CPGA pro and general manager, indicated that Hole 15 was the signature hole, a 239-yard par 3 over water to an elevated green. At the same time, Henson said Hole 16 was unique, with two very different tee boxes. The hole is a par 4 of 381 yards over water and up a narrow hill to a small green. The final hole is a spectacular par 5, with a long 505 yards down into a valley and around a blind corner to a downhill-sloping green. Although the course has only a slope of 126 from the back tees, it plays much harder at 6,792 yards. For the average golfer, the yardage is a more manageable 6,100 yards. The course has false fronts around the greens, eight doglegs, 50 sand traps, six ponds, steep and sloping fairways, blind shots, long fescue grass, fairway ponds and fast greens. A disadvantage to this open-style golf course is the strong westerly winds blowing down the Thompson Valley. We played in a British Open style wind, needing to knock down shots, bump and run and drift our shots with the wind. 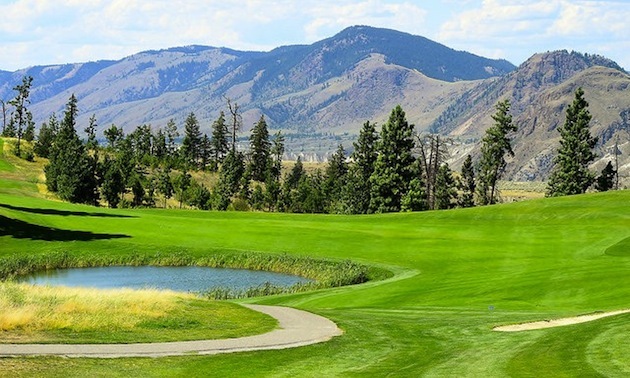 Kamloops is a highly competitive golf market. The mission statement of Eagle Point is “to attract Kamloops area golfers of all ages and abilities for an enjoyable experience at an affordable price.” The owner has been very innovative in attracting golfers, using food vouchers, a sleeve of Pro V1s, two for one golfing after 2 p.m., two-ball tournaments, golf and hotel packages and tournaments such as King of the Hill. With its very affordable green fees, the course has increased its membership and averages 30,000 rounds per season. With a view to the future, the course offers young golfers such perks as free clinics, special rates and free play with an adult in the evenings. 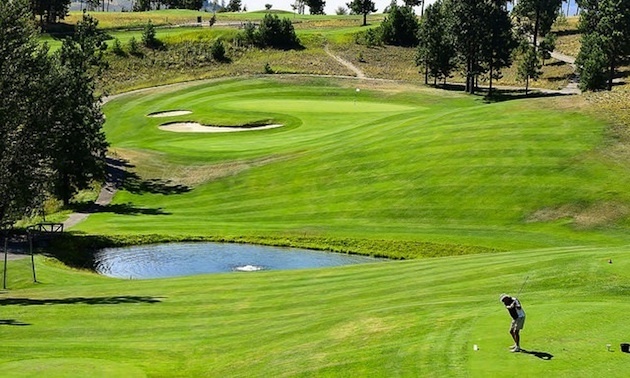 Since the course is not in Kamloops, it is largely self-contained. There is a driving range, a fully stocked golf shop with equipment and apparel, CPGA lessons, two HD golf simulators, club fitting and a restaurant with patio. Playing Eagle Point was a very pleasant surprise. It is obvious that Dennis Hong and Ian Henson are moving in the right direction, making the course less a pleasant surprise and more a planned golfing destination.